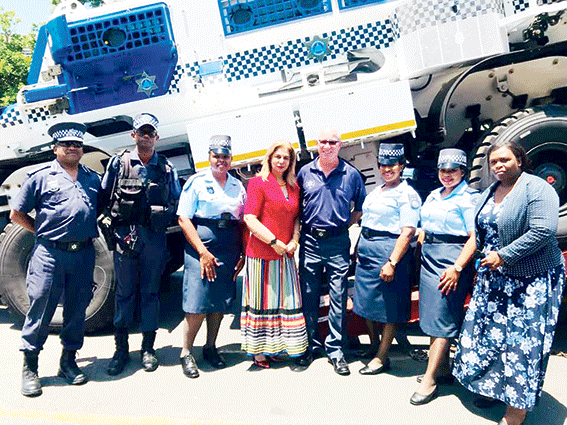 The Durban Metro Police were officially handed over three of four public order vehicles on Thursday, 31 January. The specially designed vehicles were delivered on Wednesday, 30 January and created a stir in some of community members. The Casspirs, worth over R23 million, were referred to as just expensive ‘toys’ by some members of the community saying that there was no need for them. 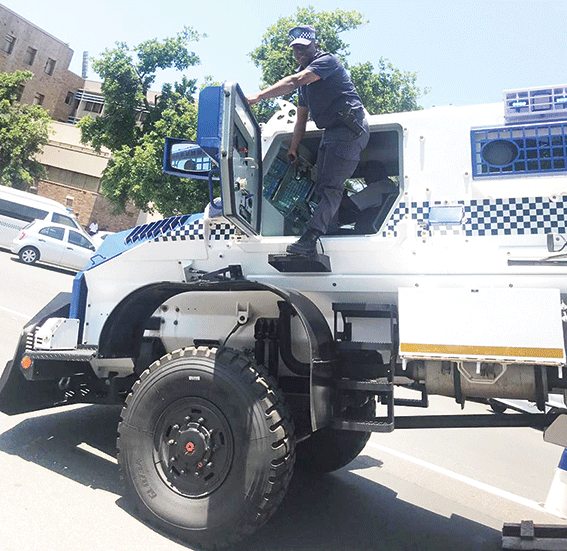 The eThekwini Municpality took the decision to procure the vehicles in a council meeting in May 2017, after realising the Metro Police face a risk of loosing their lives when attending to riots. The vehicles were transported from manufacturer Denel’s offices and would serve as protection vehicles during violent pretests. It took about nine months to construct as they are made of armoured steel from Sweden and are designed similar to those used in the United Nations for peace keeping efforts in parts of Africa. They are the first of it’s kind to be used by metro police countrywide. “Metro Police needed the vehicles because our officers had to deal with outraged protesters during the increasingly violent protests, which put their lives in danger. “The normal vehicles used by the officers to attend protests were not as safe as over the years many of them have been damaged by protesters. He said the vehicles are not easily driven by any driver, therefore the manufacturers will be training the officers how to the drive them before they can use them. “Also these vehicles still have to be registered as Metro Police vehicles before we can make use of them. As the Durban Metro, we are extremely grateful to have these vehicles. This shows that our officers will now be protected,” he concluded. Comments on Facebook were flowing with others saying these vehicles will be used to violate black people and that they are too expensive.